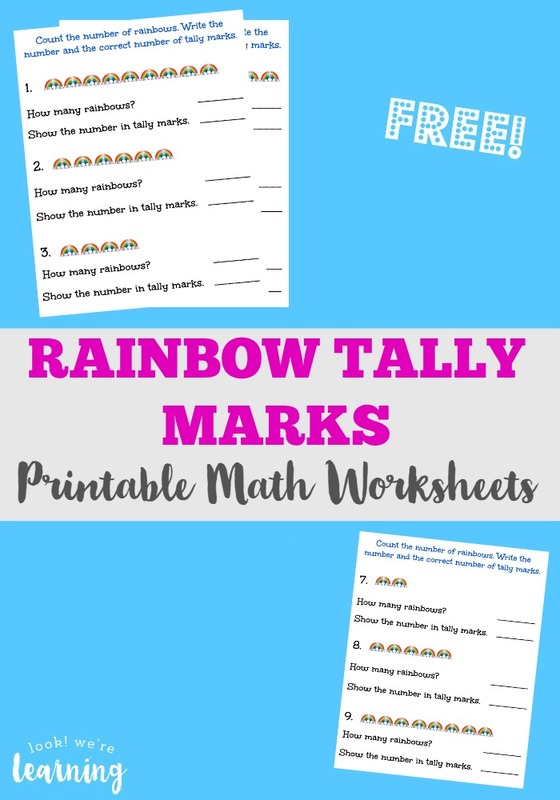 Free Rainbow Tally Marks Worksheets - Look! We're Learning! One of the things I love most about spring is waiting for rain showers to end so we can try to spot some rainbows. You know how you always heard about “the end of the rainbow”? Well, it turns out there is no end. I just read the other day that the rainbow always changes arc direction depending on your position. So as you travel, it seems to travel too. Bummer. 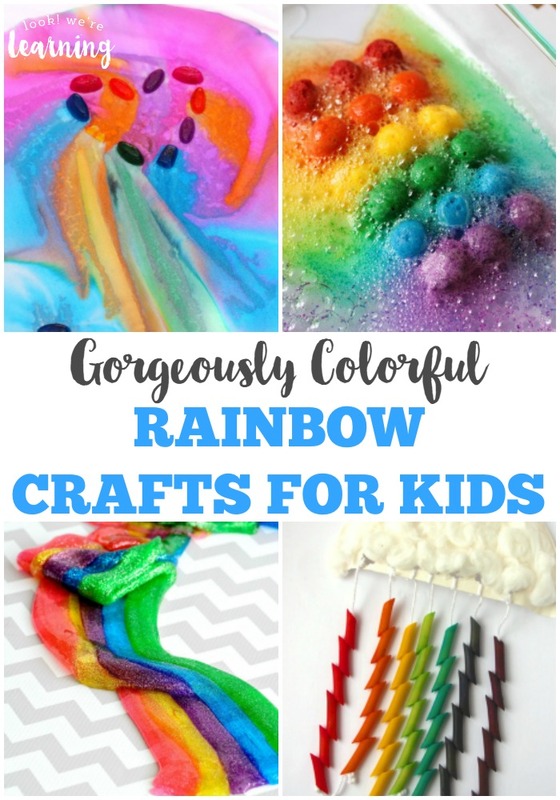 They may not be what they appear, but rainbows are still plenty of fun for kids. 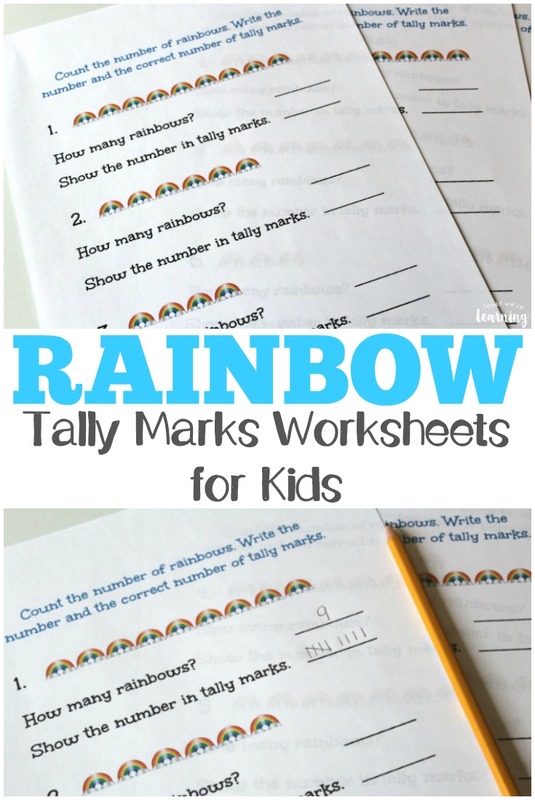 And that’s why I thought I’d make some rainbow tally marks worksheets for kids who are working on counting with tally marks! 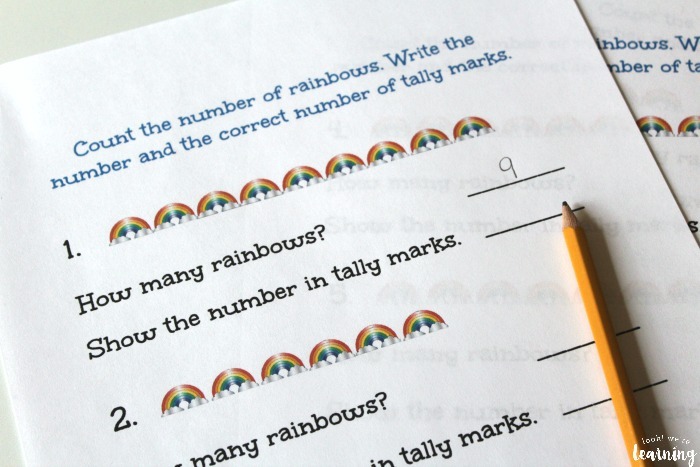 Learn how to get a set of these worksheets free! 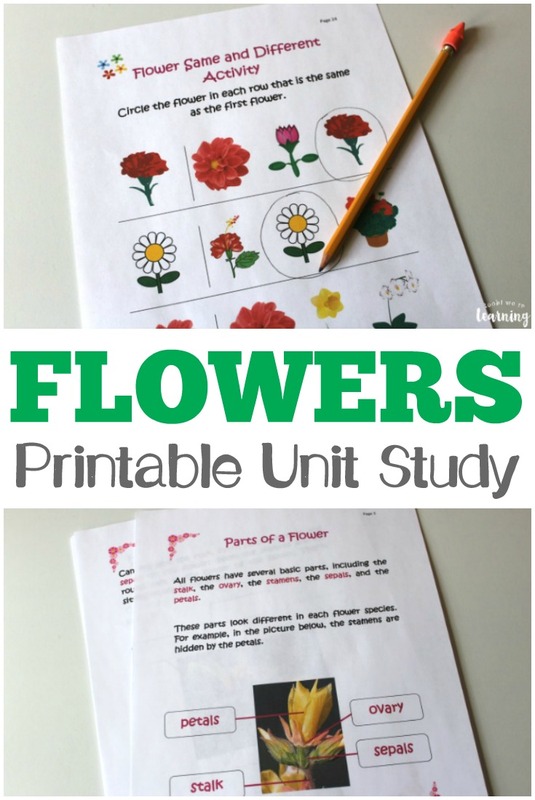 And be sure to grab more of our spring worksheets for kids, including our Flower Repeated Addition Worksheets! 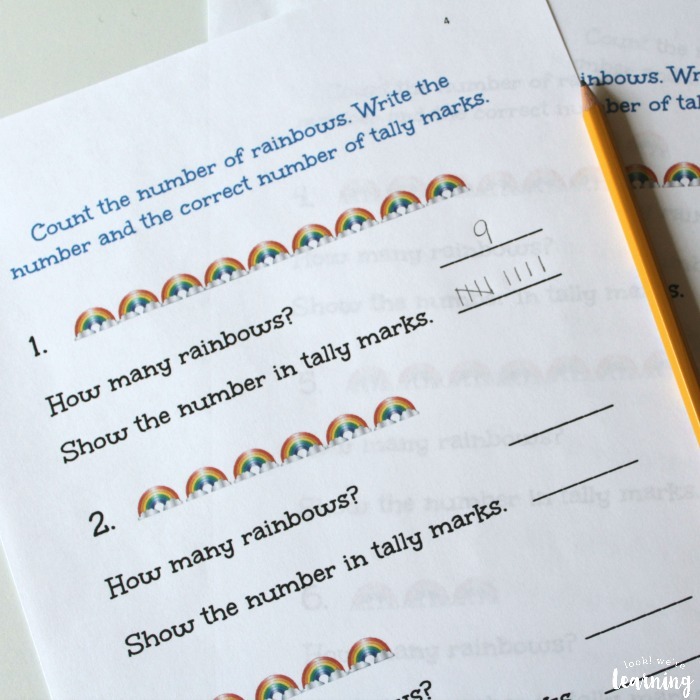 Counting with tally marks can seem old-fashioned, but it’s still a wonderful math skill for kids to learn. 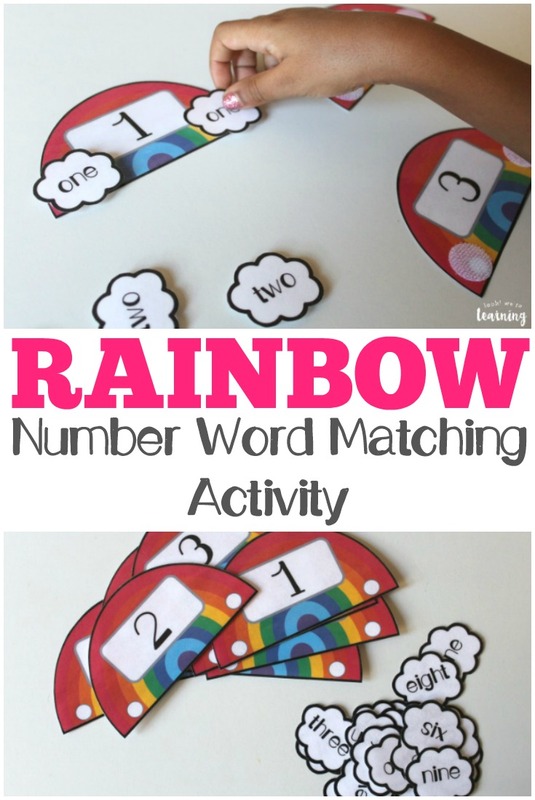 When they use tallies, they practice one to one correspondence, skip counting by fives, and number sense (understanding what numerals actually mean). 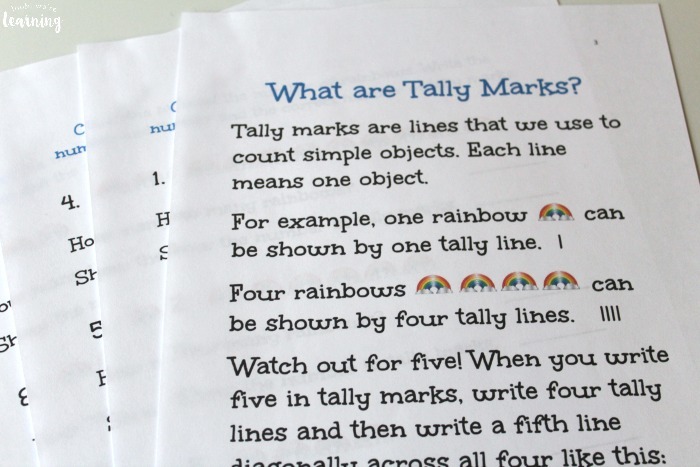 This pack contains an instruction sheet to explain how tally marks work. 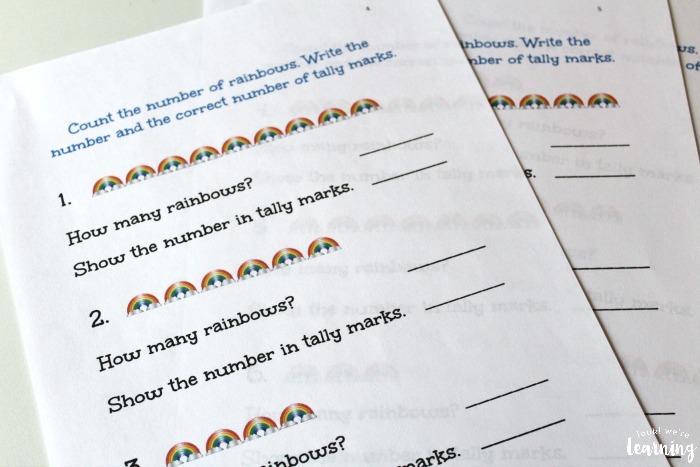 There are also three rainbow tally marks worksheets featuring problems with numbers 1-10. 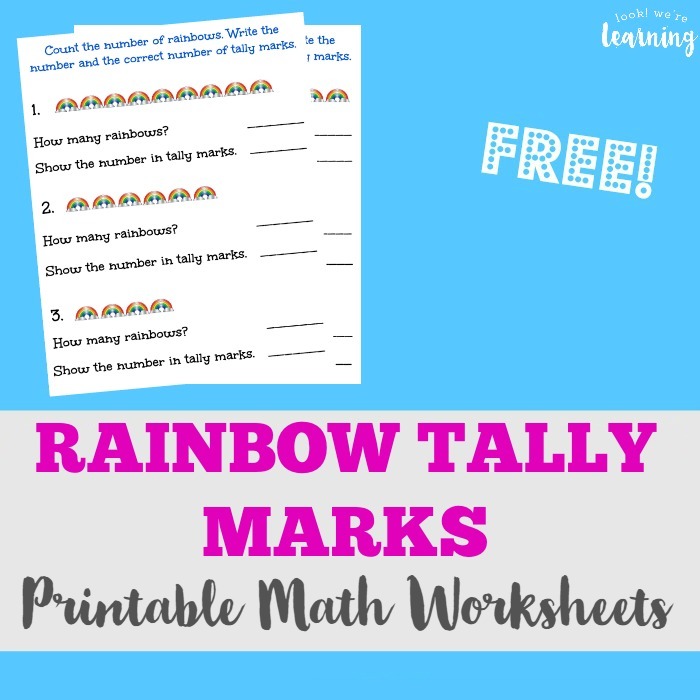 Scroll down to get your free Rainbow Tally Marks Worksheets! 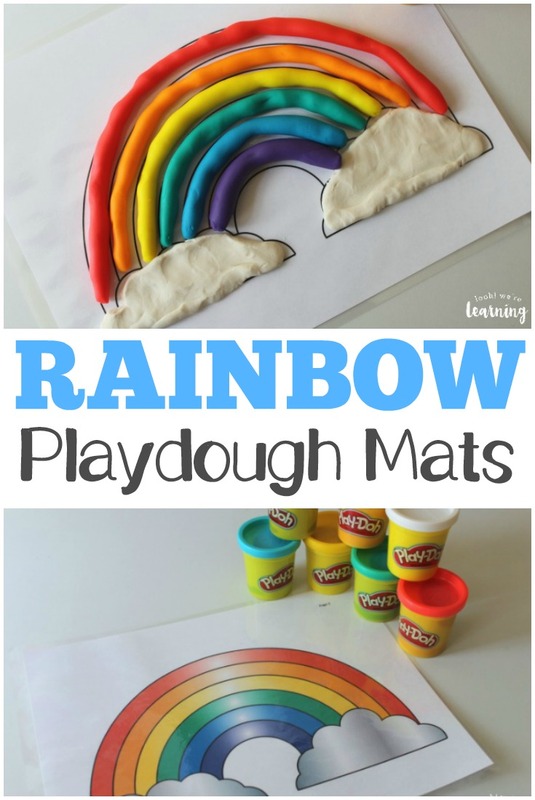 Check out our other rainbow learning fun! And grab some of our other spring worksheets for kids! 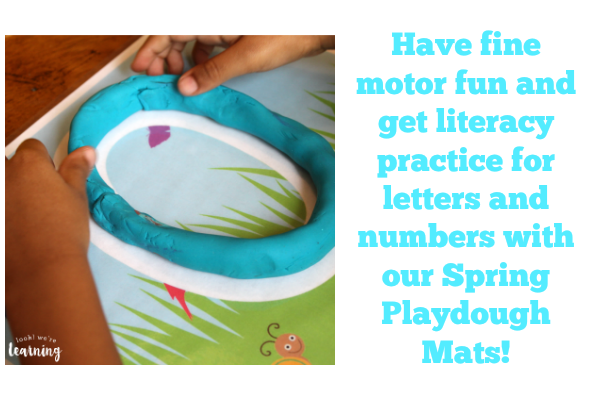 Follow my Spring Activities for Kids Pinterest board for more spring learning fun! 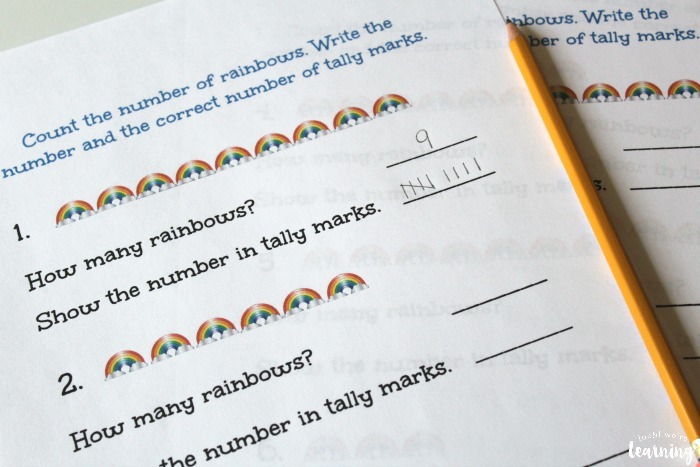 To get your free Spring Worksheets for Kids: Rainbow Tally Marks Worksheets, sign up for our email newsletter! You’ll get this pack and plenty of other printables in our exclusive Subscriber Library!